Increase Your Search Engine Ranking With Social Media Marketing. Posted on 23rd February 2012 at 07:19. The key to online business success is visibility. For that to happen, any business needs to get its website ranked highly in search engines like Google and Bing. In short what businesses need to do is to concentrate on SEO. Now there are many ways to optimise websites: traditionally this has been achieved through good and effective website design, back-linking from other quality websites and providing quality content. However, Google and Bing are increasingly turning to the social media for an indication of a website’s credibility. Page ranking can now be affected by the number of likes, shares and retweets a website receives from the online community. But have you ever wondered how this process works? Well, hopefully this article might provide some of the answers you’ve been looking for. How can social media influence SEO? 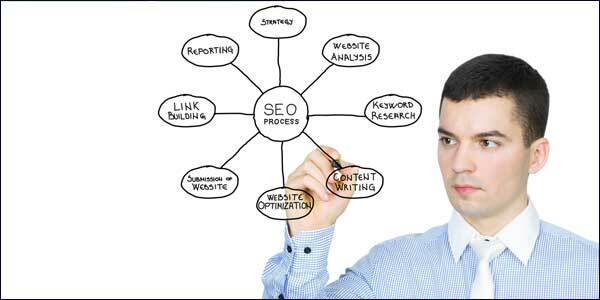 Google and Bing have always traditionally rewarded sites that have a number of good quality backlinks. The more recommendations a website receives from other trusted and respected sites, the greater its chances of achieving a higher page ranking. Links tell the search engines that the quality of the information on the website is seen as valuable and authoritative. Well Google is now using this same strategy for social media recommendations. The greater the number of likes, retweets and shares a website receives, the greater its influence on the online community. If there’s a difference, it’s that these recommendations are provided by users rather than other websites. Google views user-generated approval even more highly than peer recommendation. Lots of likes and shares tell the search engines that the website’s content is trusted and viewed as worthwhile and informative by the users. Using social media approval to boost business ranking. Social content like Facebook pages and Twitter profiles now feature prominently in the search engine page results. Any business that extends its brand’s online presence on social media platforms will ultimately reap the benefits. So it makes sense to set up social media accounts in your brand’s name. However, setting up an account is one thing, but making it work effectively is altogether different. Any business that wants its brand to be shared socially needs to provide content that community members will want to share. If you provide informative content, then users will effectively do the marketing for the brand, and the search engines will reflect this in their results. What content will be liked or shared? That depends on what you have to offer. There are no hard or fast rules about what users will be prepared to share. However, the one thing that is indisputable is that the content you provide needs to be informative, valuable and worth sharing. Really good quality content has an ability to be able to go viral, and once that happens then the search engines really will sit up and take notice. Content Marketing: Good Things Come To Those Who Wait.New Research Suggests That Marketers Don’t Fully Appreciate The Potential Of Social Media.